After climbing an unknown number of steps, Shi Feng arrived at a winding corridor that led towards the core area. Ancient magical runes were carved into the walls on both sides of the corridor, and even though almost a millennium had pa.s.sed, this corridor was still gleaming with light. Only some parts of the corridor had decayed, damaging the magical circuits etched in it and plunging those particular areas into darkness. Fortunately, not many parts of the corridor were badly decayed, so Shi Feng was still able to clearly see the entirety of the long, narrow, and maze-like corridor. There was a barrier in the central region of the control room. A dark grey colored sphere of iron was placed inside the barrier. This sphere of iron was the heart of the Steel Fortress, and it was the fortress’ source of energy. It was the t.i.tan’s Heart. Shi Feng could faintly see the outline of a humanoid lifeform inside the barrier. However, the figure seemed to be currently absorbing the energy of the t.i.tan’s Heart, so it did not have surplus powers to deal with Shi Feng, sending out its pet in its stead. “c.r.a.p, did I come at a bad time?” Shi Feng’s brows slightly wrinkled as he observed the h.e.l.lhound. According to the information in his previous life, there were definitely no lifeforms or monsters in this place. The person that did the Quest was able to safely take the t.i.tan’s Heart away. So, why was it that, when it was his turn to do the Quest, a mysterious character appeared here, trying to steal the t.i.tan’s Heart’s energy. This mysterious character stole all the energy of the t.i.tan’s Heart first. Meanwhile, the player who came here had merely taken away the t.i.tan’s Heart that was empty of any energy. On the other hand, Shi Feng had coincidentally run into this energy thief. 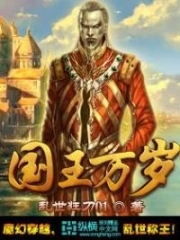 However, unfortunately for Shi Feng, he wasn’t even capable of defeating the pet of this mysterious character, not to mention the person, itself. “Since you want to battle, then come!” Shi Feng pulled out his swords, his attention affixed on the slowly approaching h.e.l.lhound. As the h.e.l.lhound’s distance from him continuously shortened, Shi Feng could feel his surroundings become exceptionally hot, causing his mouth to feel parched. Shi Feng thought of taking out a Cold Beverage to enjoy, but he currently couldn’t carelessly move about. He would immediately reveal a weak point as soon as he moved. As a Level 15 Elite monster, the h.e.l.lhound’s intelligence was already extremely high. It was the reason why it leisurely walked towards Shi Feng. That was because the h.e.l.lhound knew the best time for it to launch an attack. 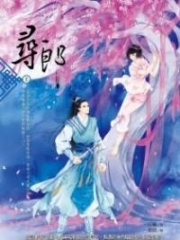 As long as Shi Feng revealed a gap, it would immediately bite at him with all its might, not letting go of Shi Feng until he was completely dead. In the confrontation between the two, after all was said and done, the h.e.l.lhound was still the more powerful. So, naturally, it would not simply wait. Its legs immediately pushed against the ground, leaping high into the air and transforming into a ball of fire. It then opened its flaming maw. Shi Feng rolled to a side, dodging the h.e.l.lhound’s pouncing attack. However, immediately after the h.e.l.lhound landed, its flaming claws slashed horizontally. Peng! Although Shi Feng did not receive any damage, his entire body was throw. The h.e.l.lhound immediately opened its large mouth, spewing scorching-hot flames. The flames wrapped around Shi Feng completely, preventing him from escaping. Shi Feng clearly felt how powerful the h.e.l.lhound was. Such damage was definitely not something a Level 15 Elite monster could dish out. Its strength was greatly increased because of the Quest’s Story Line. According to his experience, Shi Feng estimated the h.e.l.lhound’s actual level to be over Level 30, and it should be a Lord-rank Boss. Seeing that the h.e.l.lhound’s flaming claws were about to slap down at him, Shi Feng used Abyssal Bind. Even if the h.e.l.lhound were any stronger, it would still be restricted for 3 seconds. Following which, Shi Feng rushed into the barrier at the center of the room. Currently, the best option Shi Feng possessed was to s.n.a.t.c.h the t.i.tan’s Heart and swiftly depart. However, just after entering the barrier, Shi Feng immediately became shocked upon seeing this mysterious person’s true ident.i.ty. 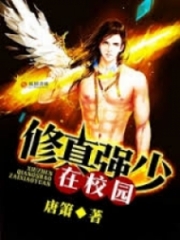 You're Read Reincarnation Of The Strongest Sword God Chapter 93 - Dark Clown online at NovelOnlineFull.com. You can use the follow function to bookmark your favorite novel ( Only for registered users ). If you find any errors ( can't read,broken links, can't load photos, etc.. ), Please let us know so we can fix it as soon as possible. And when you start a conversation or debate about a certain topic with other people, please do not offend them just because you don't like their opinions. You're reading Reincarnation Of The Strongest Sword God. This manga has been translated by Updating. Author(s): Lucky Cat. Already has 7843 views. Current Time is 25-Apr-2019 03:54:14 AM.